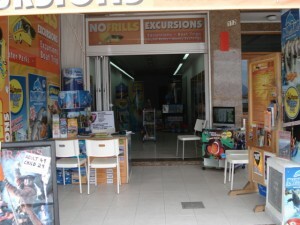 This website has been created by the No Frills Excursions team. No Frills Excursions is an independent excursion agency based in the north of the island. 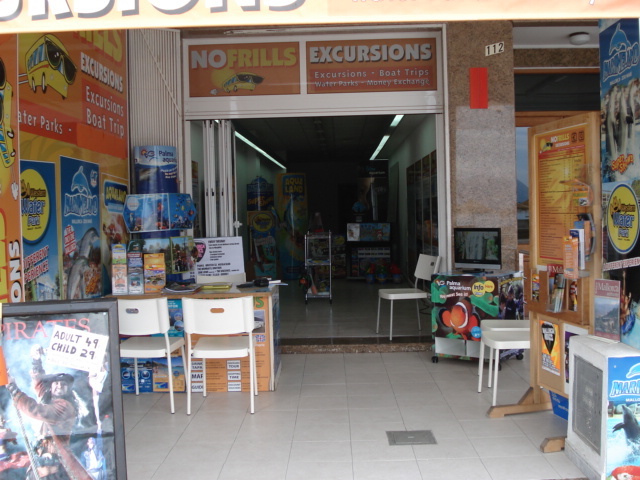 No Frills Excursions has been operating since 2004. Initially we had the one shop in Puerto Alcudia, over the last 3 or 4 years additional shops have been opened. There are now 3 shops in the resort of Alcudia and in 2010 opened its 1st shop in Puerto Pollensa. In 2011 the puerto pollensa shop had new displays installed internally, in order for customers to browse and get a better idea of our trips. The shop in Puerto Pollensa is currently run by Kerry and situated on the main beach front close to Burger King. Lots of holidaymakers are already familiar with our trips and return year after year. With the new shop now being opened and outstanding reviews on trip Advisor, this location has been very popular with holidaymakers. If you book with No Frills we not only offer great value for money but an exceptional service.